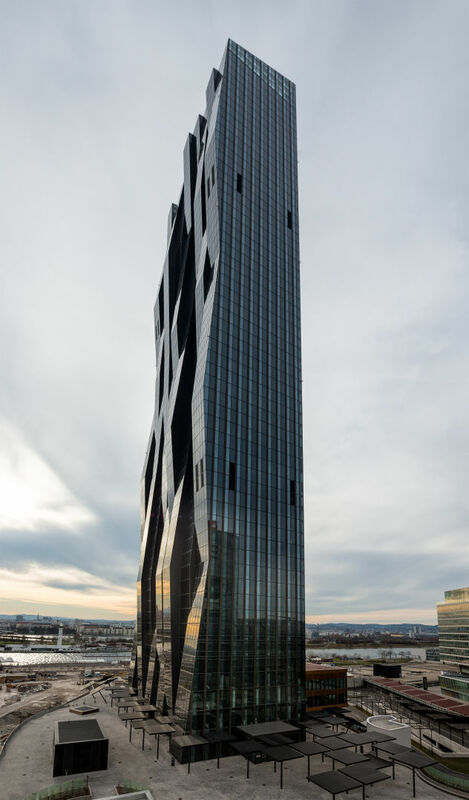 Based on extensive research – which included the influence of wind and the reaction of the support structure that investigated in a wind tunnel – the structure of the DC Tower was developed using the "finite element method". 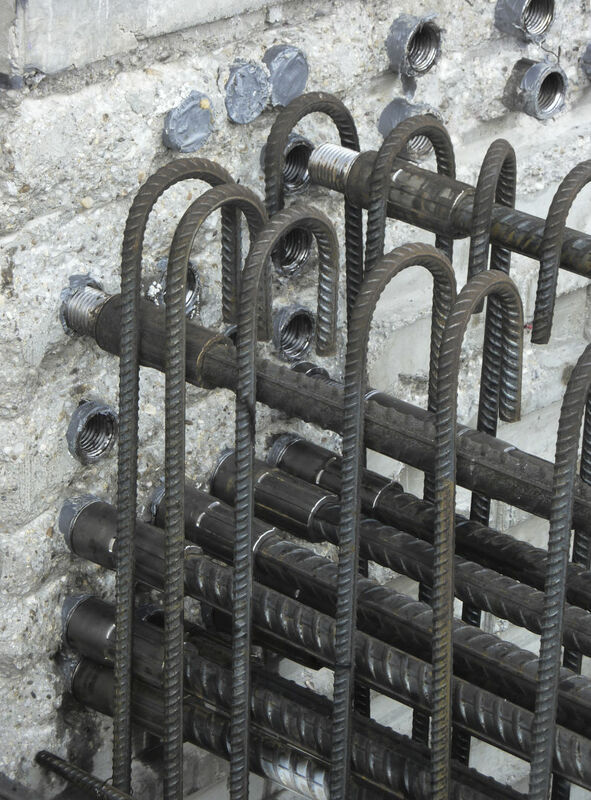 The horizontal forces are split by "outrigger-type constructions" between the core and the columns to relieve the inner core with the transfer of forces to the supports. 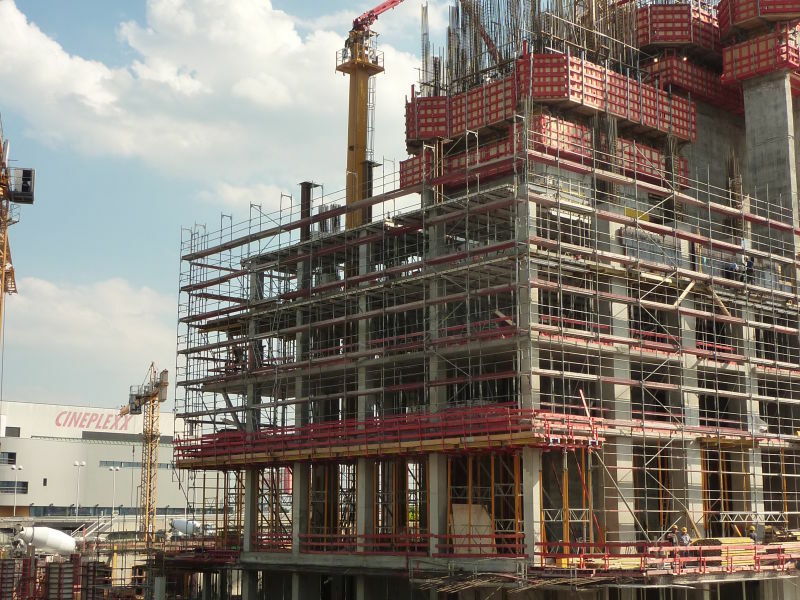 An anti-vibration construction designed as mass pendulum is provided to increase the level of comfort at the top of the building. 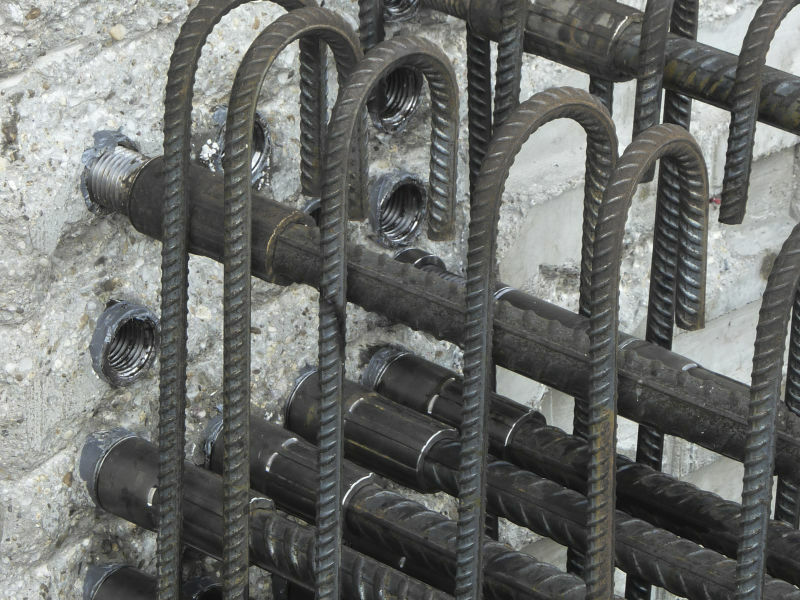 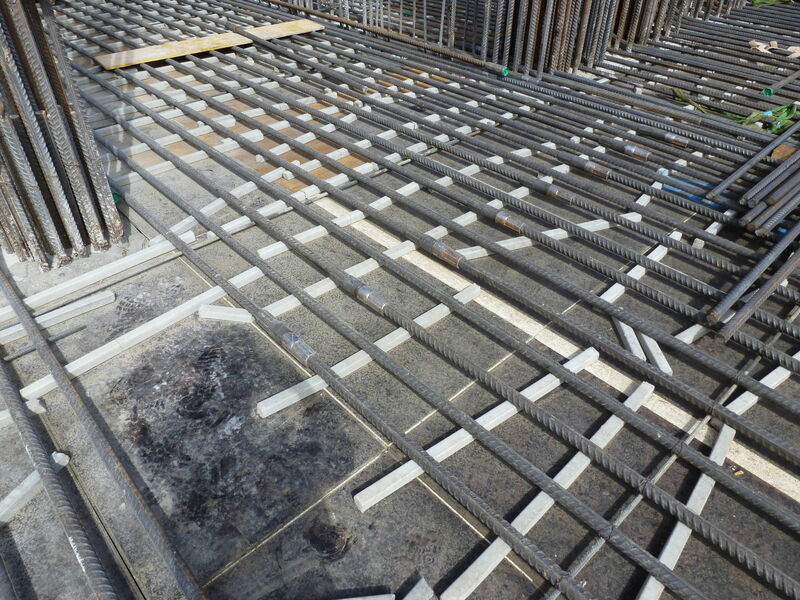 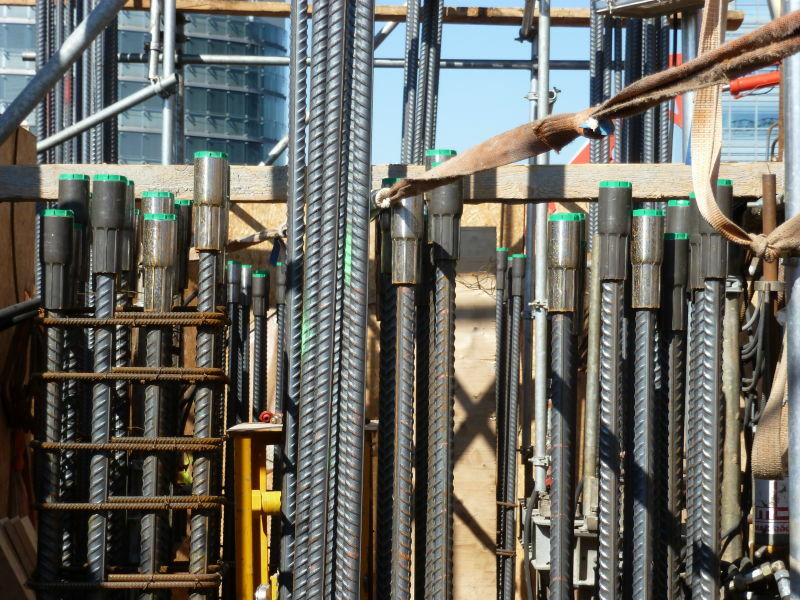 The connection between the individual reinforced concrete members is established with Peikko’s MODIX® Rebar Coupling Systems. The reinforcing couplers of DC TOWER 1 were implemented using over 45 000 MODIX® Coupler connections. 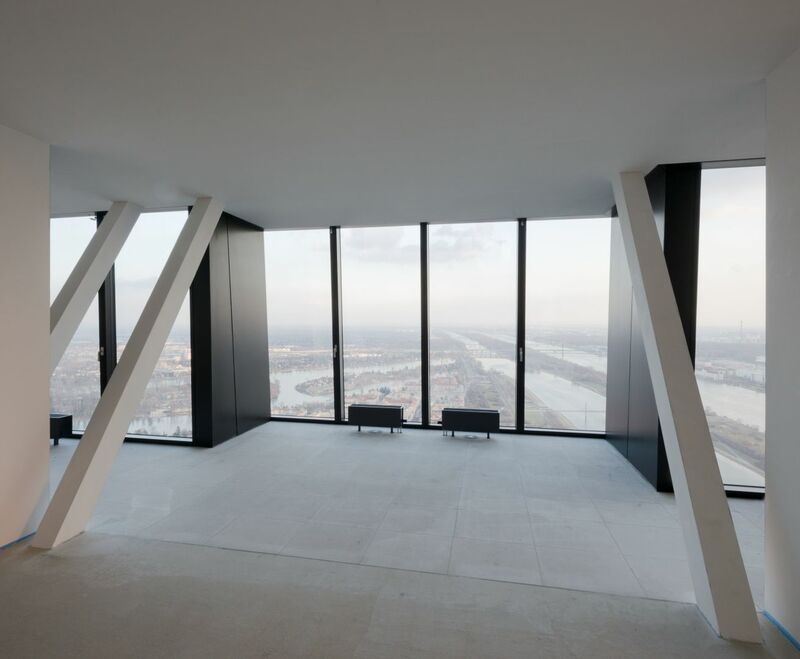 The columns were connected with SM36 and in the outrigger ceilings, mainly SM40 were used. 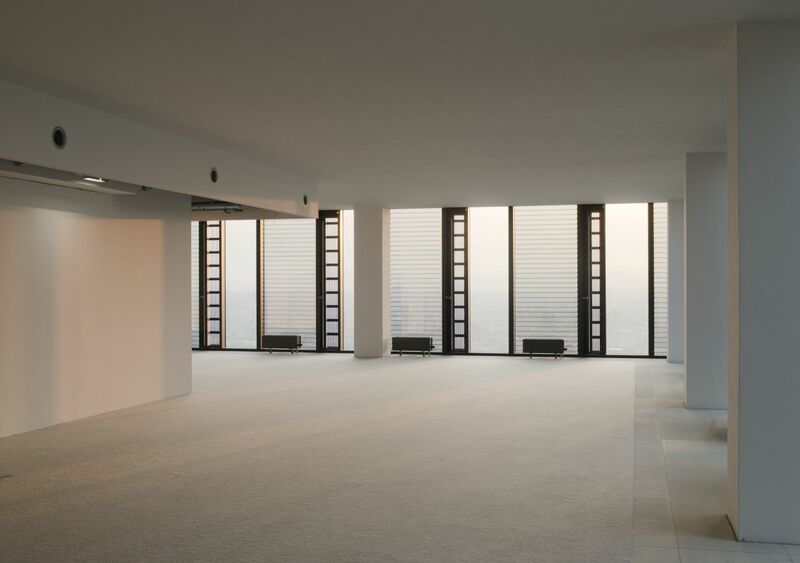 SM20, SM26 and SM30 were employed to connect the standard ceilings to the core. 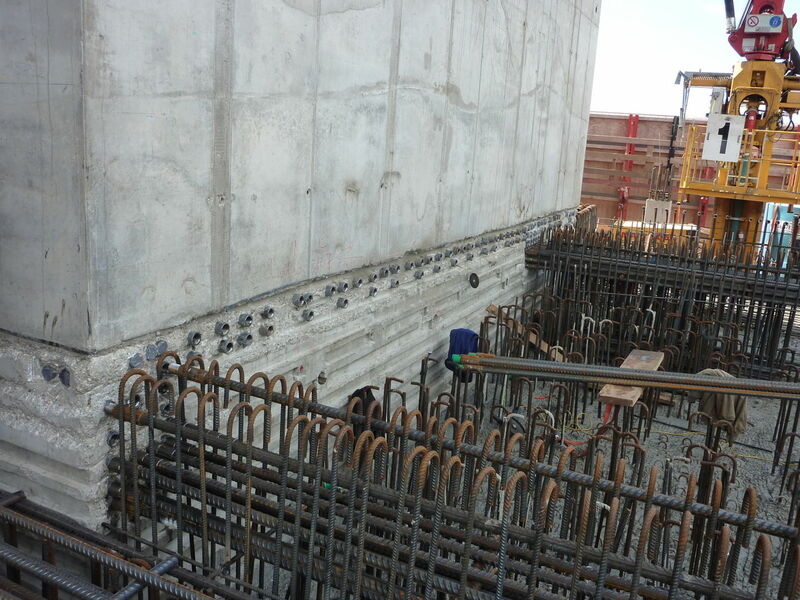 In the space of the stairwells a so-called "MODIX® BOX" was used. 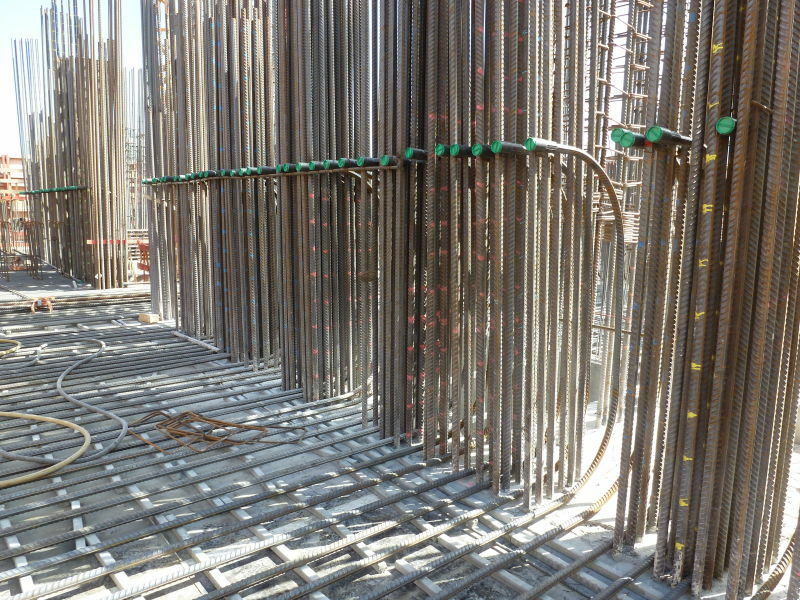 More than 40,000 double headed studs of Peikko's PSB Punching Shear Reinforcement System enable construction of slim floors preventing punching shear failure.Peikko also provided about 12 tons (13.2 US Tons) of special steel components that form part of the supporting structure and the connections between components. 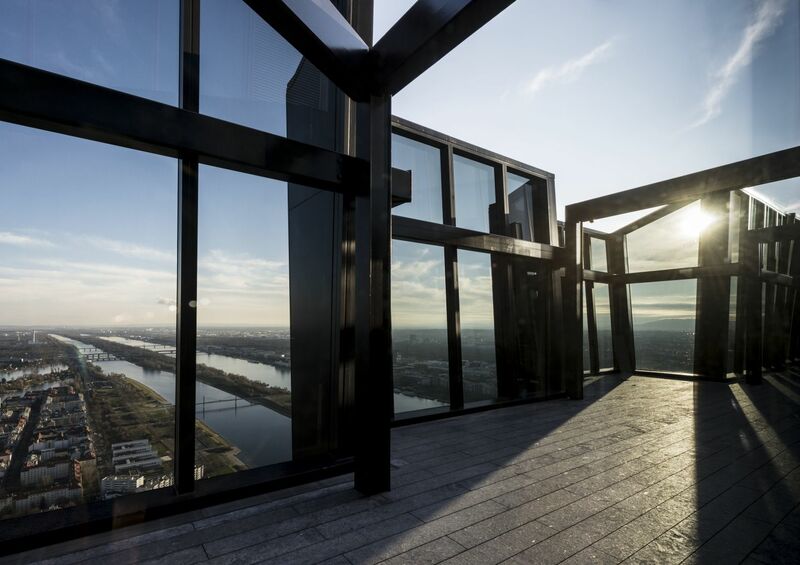 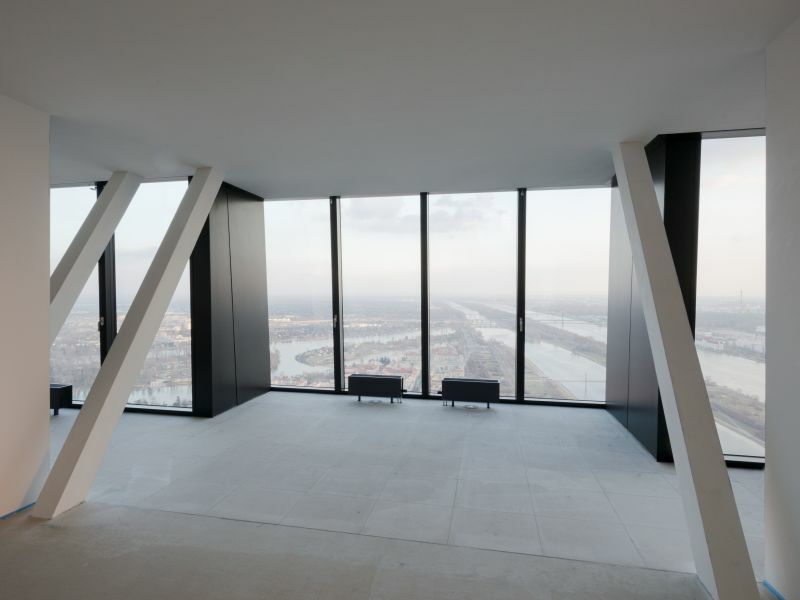 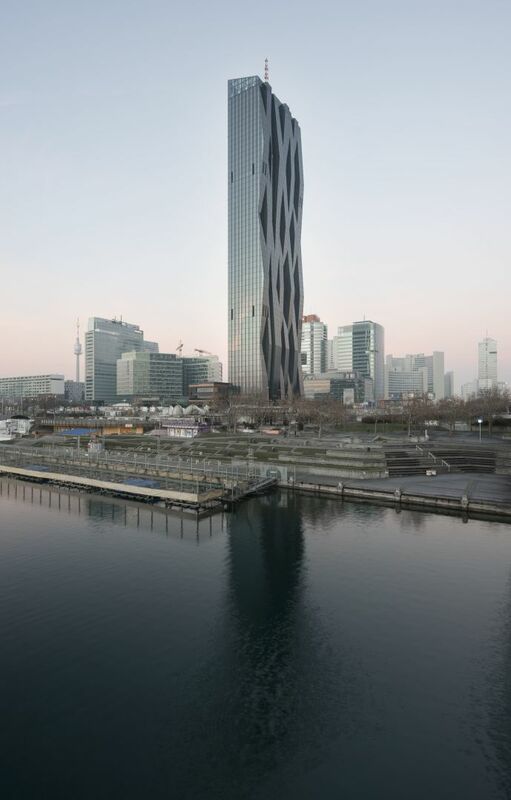 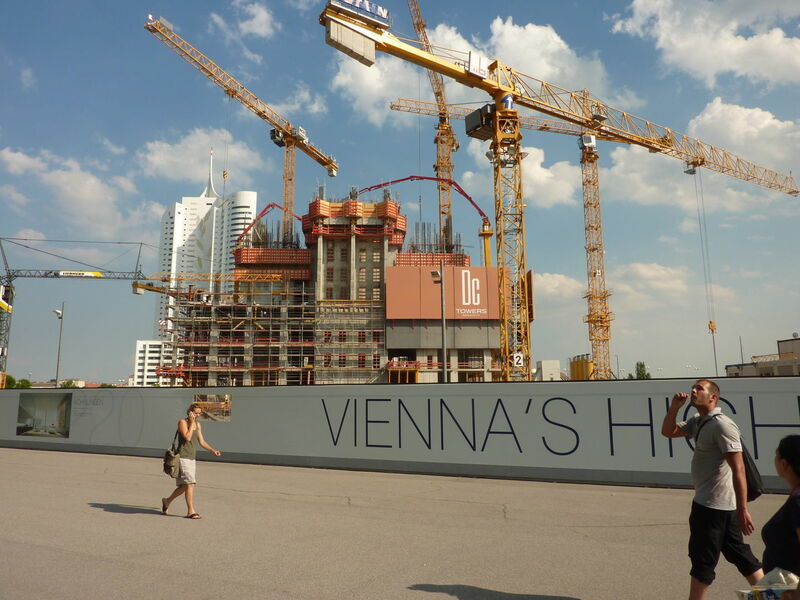 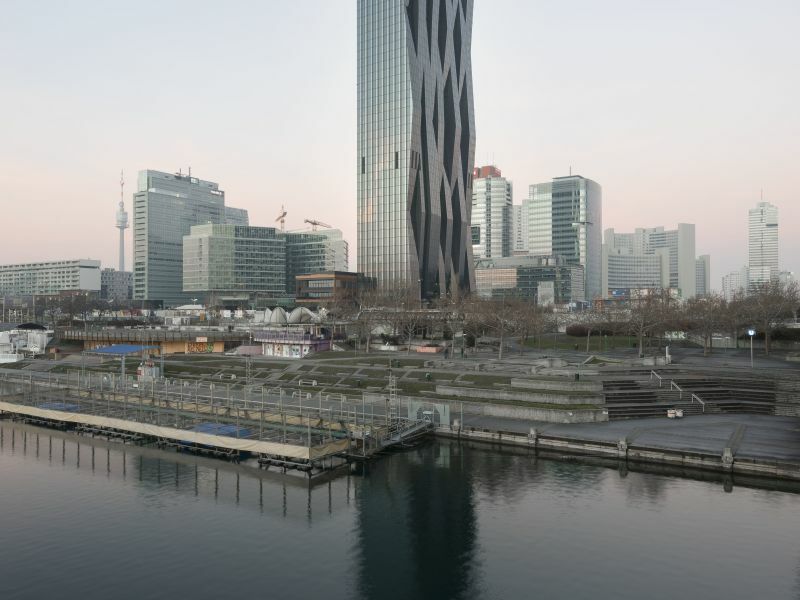 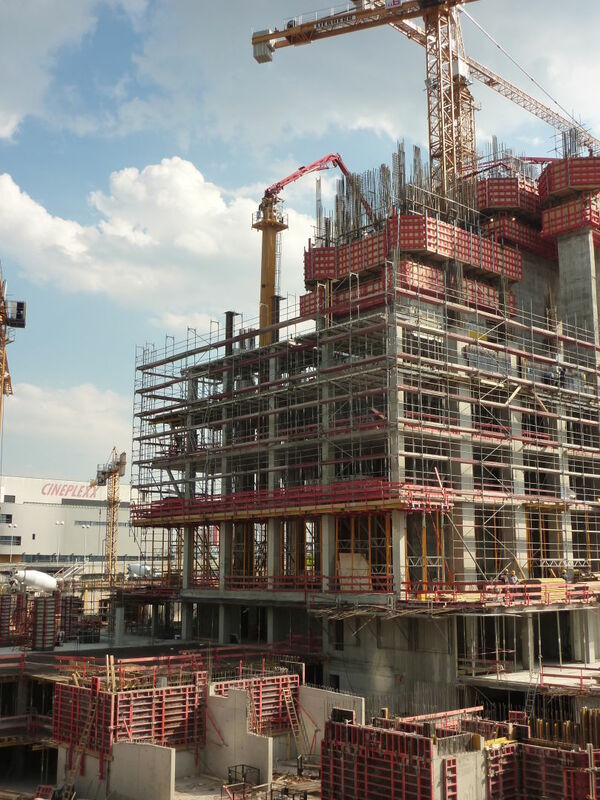 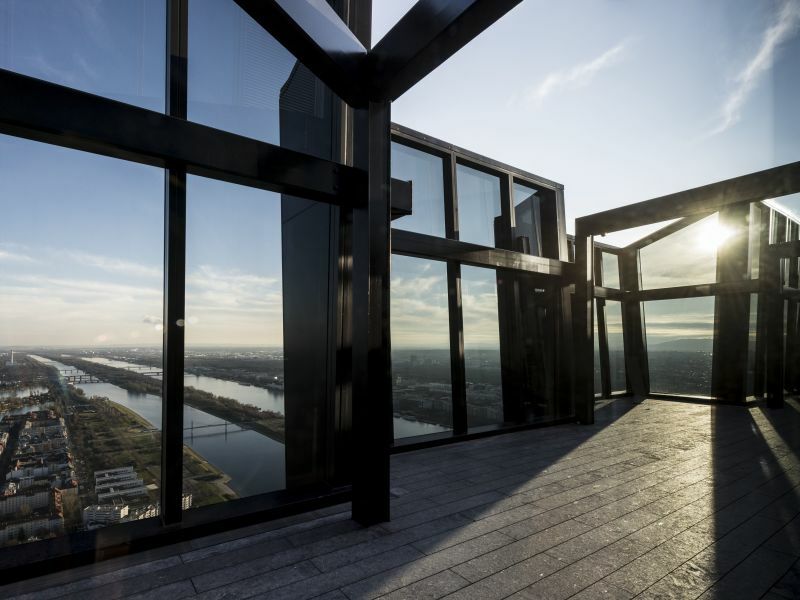 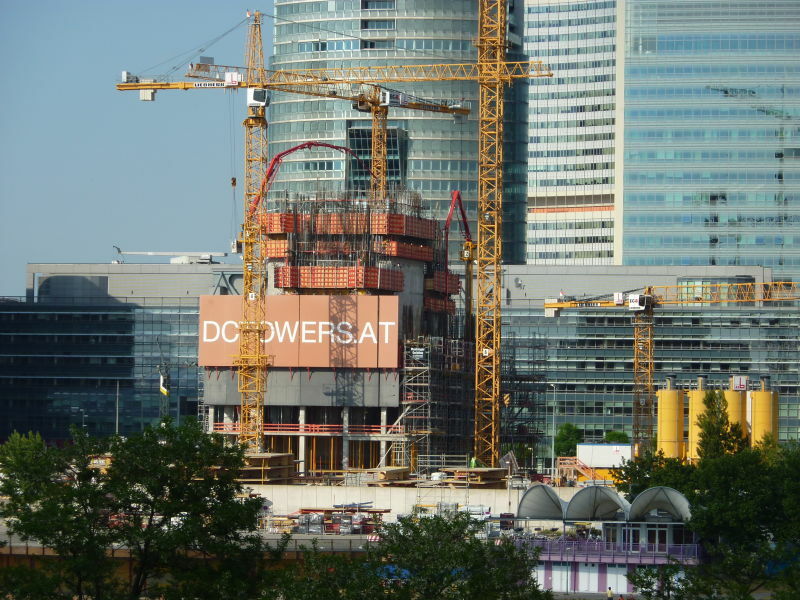 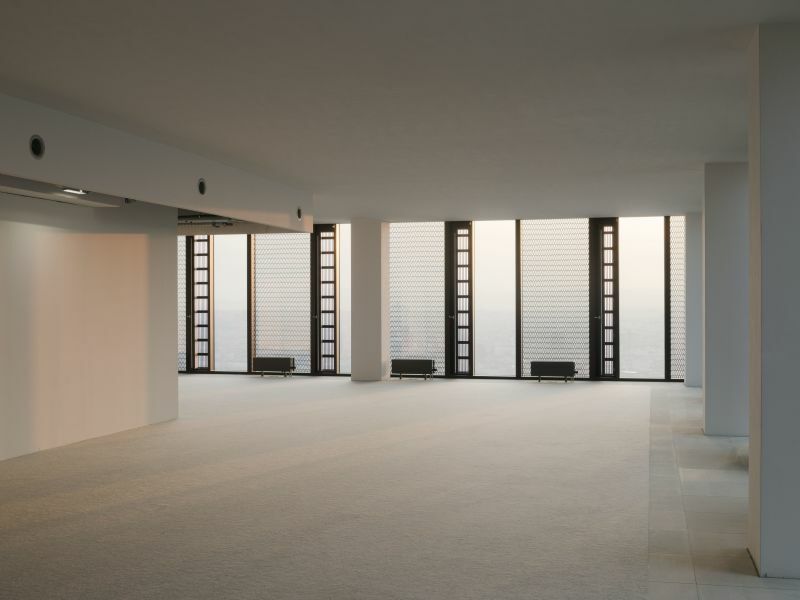 Besides DC Tower 1 as the highest building in Austria, the 168 meter (0.1 miles) height planned for DC TOWER 2 will make it the fourth highest building in Vienna. 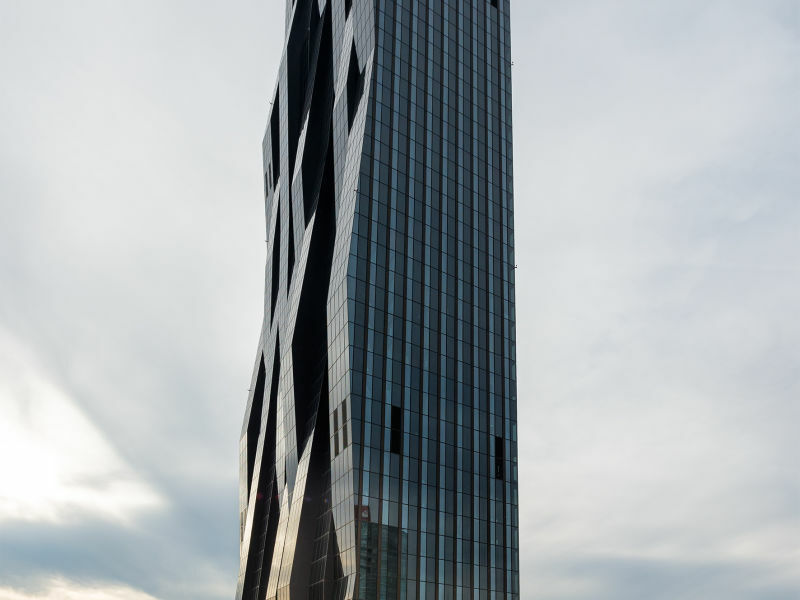 A striking feature of both buildings is the extreme slimness and the repeated bends of the façade structure. 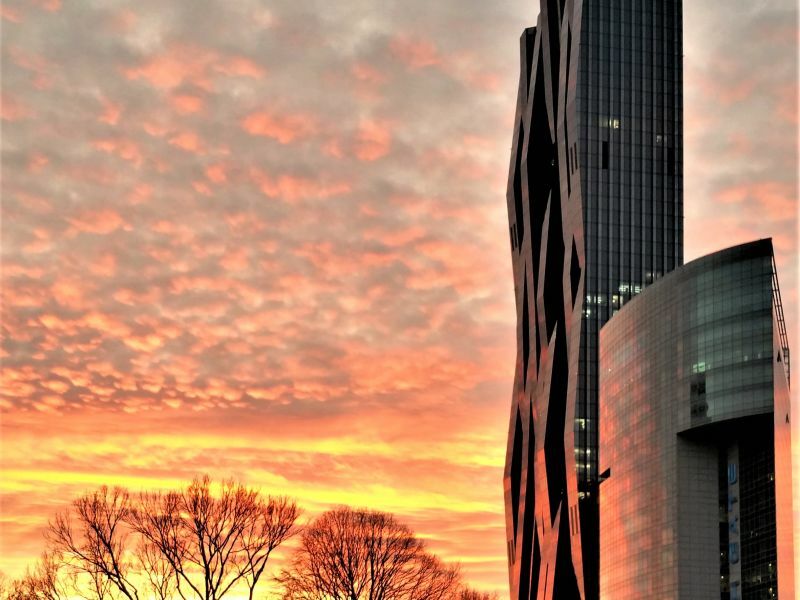 The issue of sustainability received the highest attention. 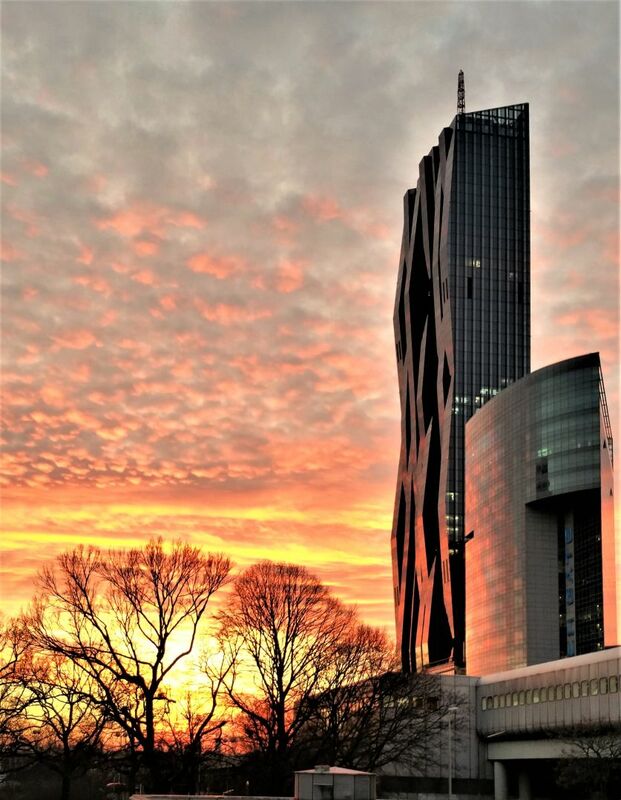 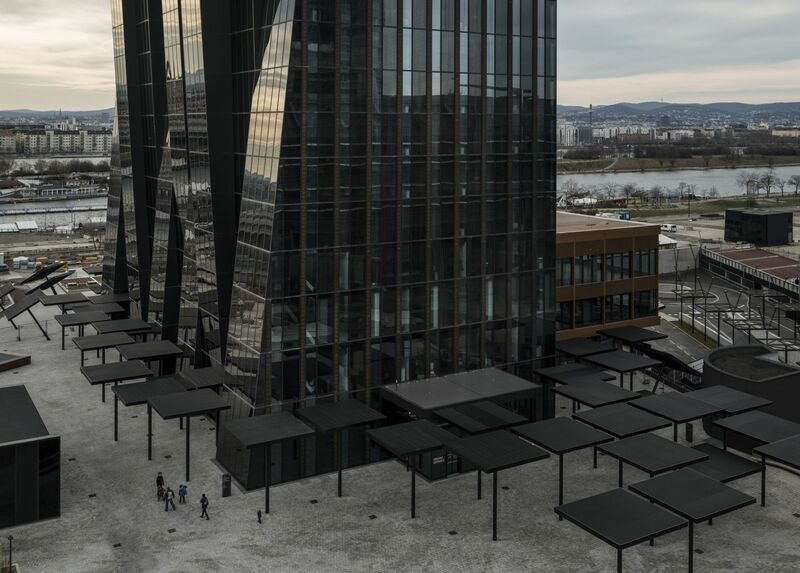 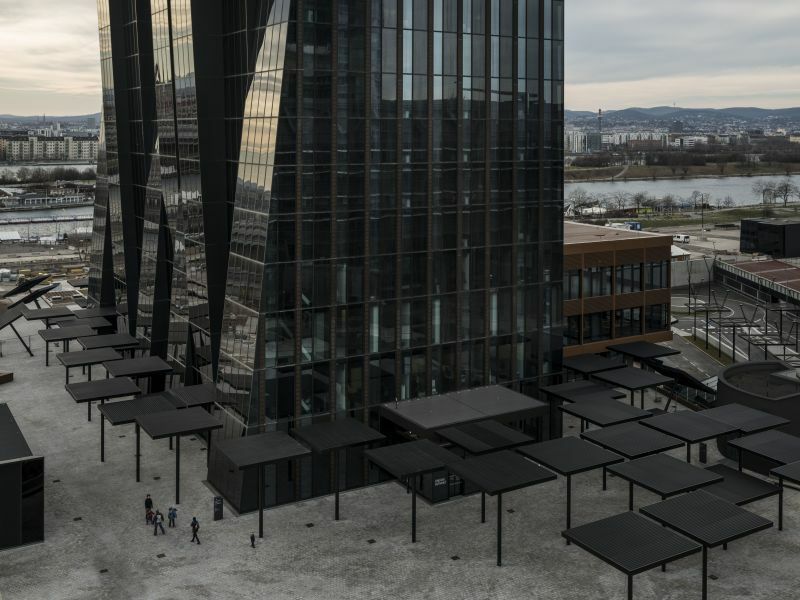 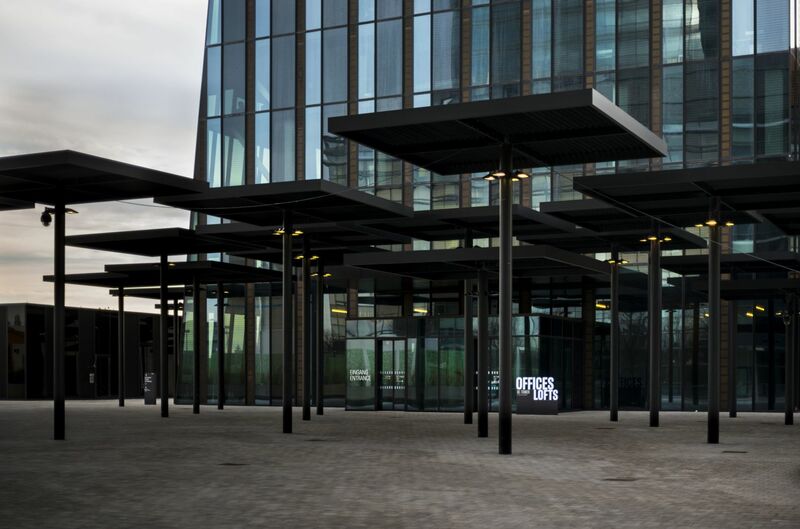 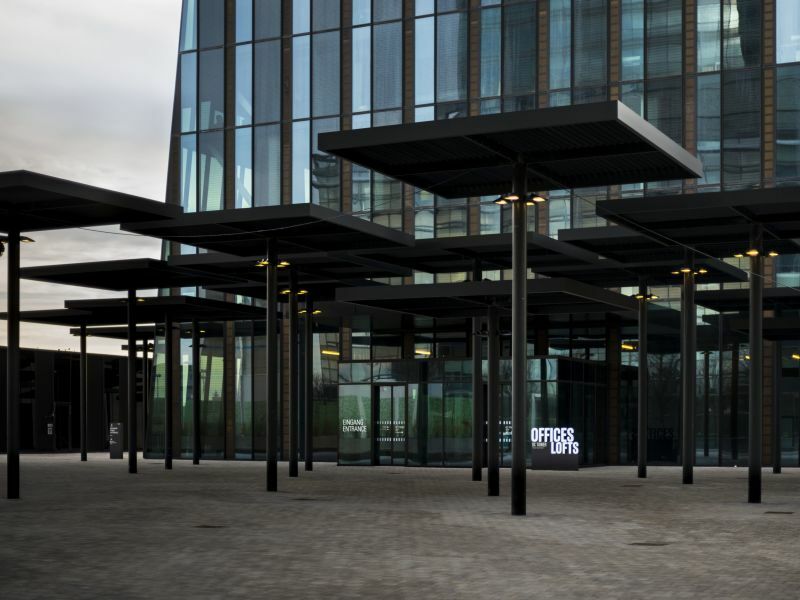 DC TOWER 1 as one of the first office towers of the country satisfies the EU Commission’s Green-Building-Standards Standard and excels with sophisticated home automation, low operating costs and energy consumption combined with innovative building technologies.